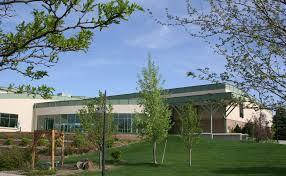 Congregation Hebrew Educational Alliance is a growing Conservative Jewish congregation in Denver, Colorado. Though we are one of the largest egalitarian-traditional Conservative Jewish congregations in the region, we pride ourselves on our small congregation warmth. Our Conservative Jewish congregation is vibrant, active, eager to learn, and truly represents Jewish life in Denver. We seek to provide our members with opportunities for Jewish study, prayer, Jewish culture, and acts of kindness in the building of our community. Continuity and transition, two apparently contradictory terms, are blended together in the beauty of the Hebrew Educational Alliance. From its West Side inception in the early 1930s, the Alliance was viewed as a warm caring institution. The Alliance was the place where children’s Jewish educational needs were met, where families joined together in fellowship and worship, and the stranger would be welcomed into the “family.” Through the many decades and the move to southeast Denver, the importance of the individual, the family, and the community never changed. However, in order to continue to meet these needs, a number of transitions took place. Young families no longer flock to live on the West Side. The role of women in American society and in the Jewish community changed. In order to meet the needs of the Jewish community, the Alliance went through a number of incremental steps. The building on the West Side was sold, temporary facilities were rented, and a magnificent new synagogue was built. Theologically, women became full participants in public worship, and the joy of celebrating a young girl’s Bat Mitzvah became a part of the regular Shabbat morning service. With change come growing pains. A religious school, which suddenly grows from 60 students to 250 students, provides both opportunities and challenges. The needs of young families may differ from elderly couples. Yet with dynamic leadership, from laypersons, clergy and staff, the Alliance is meeting the challenges of change, and continuing its heritage of service to its membership and the community. Your Donation Helps Keep the HEA Full of Activities, Programs, and Support for the Community.